WestJet Gets a New Logo – Really! ORIGINAL STORY: August 10th – WestJet Airlines began operations in February of 1996, with a fleet of three 737-200s flying between five cities in Western Canada. Since that time, the carrier has grown to become an international airline, serving over 90 destinations with a fleet of 108 737-600s, -700s, and -800s. In 2013, it launched regional airline WestJet Encore, now with 22 Bombardier Q400s. 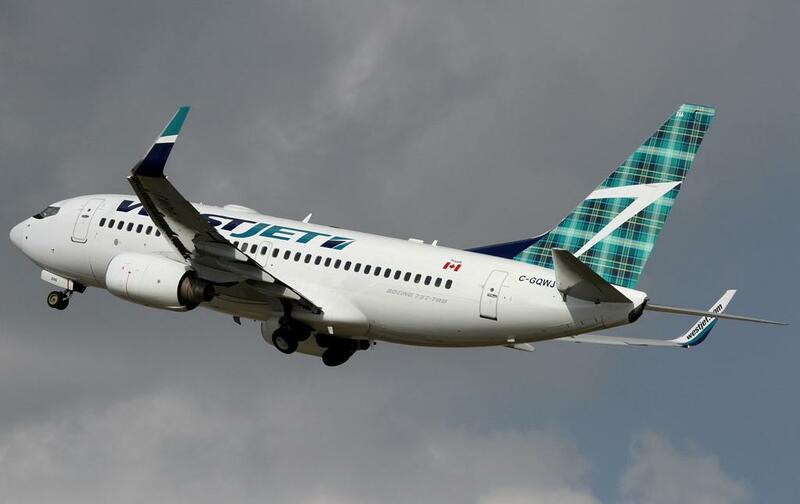 The airline hasn’t really changed its teal-and-blue colored livery since its first flights, but has Disney-partnered “logojet” 737s flying, along with two planes painted with the airline’s custom-designed tartan to celebrate its Halifax, Nova Scotia to Glasgow, Scotland service. And every one of WestJet’s aircraft proudly flies the Canadian flag on the fuselage, near the rear exit doors. One of WestJet’s two Tartan Tail 737s, with the airline’s regular fuselage logo. WestJet is stepping gingerly into the long-haul arena, and has acquired four ex-Qantas Boeing 767-300ERs. Those planes will be seen at London-Gatwick (LGW), along with other destinations in Europe and (likely) in Asia, so the airline has made a change to the fuselage logo on its new 767s to recognize the airline’s roots. WestJet’s 767s will begin service later this year, with all four flying by Spring 2016. Initial routes will be between Toronto (YYZ) and Calgary (YYC), and to Hawaii and Jamaica. London-Gatwick (LGW) service starts next summer. The aircraft will be configured with 262 seats – 24 in the “Plus” cabin, and 238 in the main cabin. 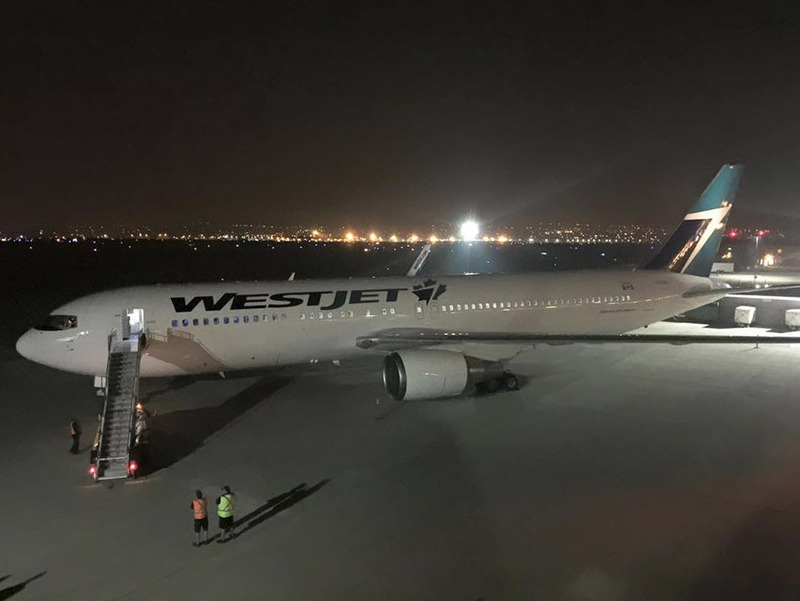 The 767s will be equipped with the airline’s recently introduced “WestJet Connect” wireless in-flight entertainment system. So, coming soon to an airport near you, it’s “The Battle of the Re-Purposed 767s That Have Lots of Life Left in Them!” In this all-Canadian bout, Boeings transferred from the mainline carrier to Air Canada rouge are up against WestJet’s ’67s from Down Under! Now, shake winglets and come out flying!